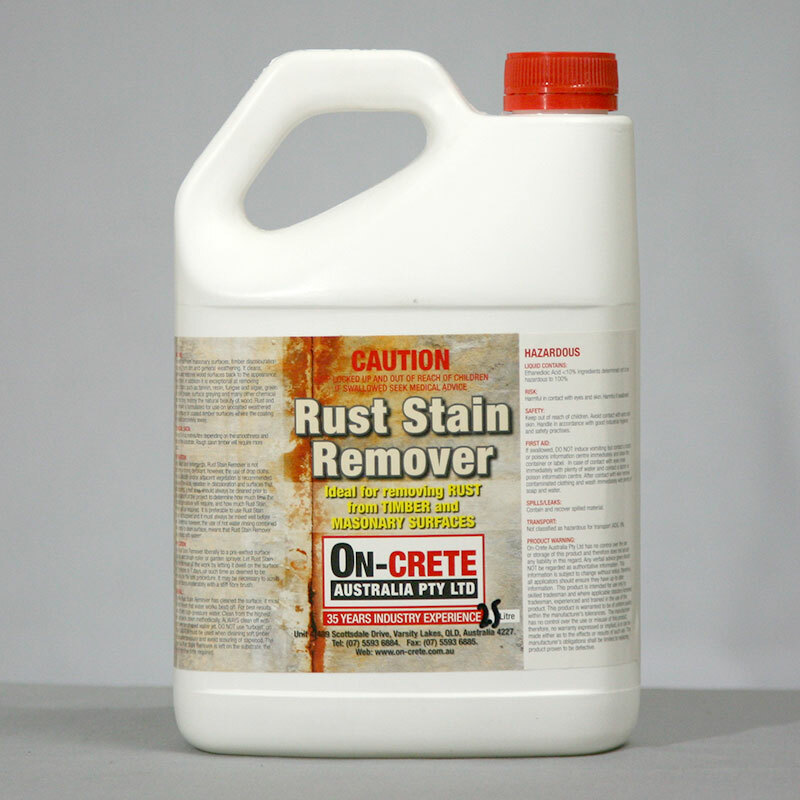 What is Rust & Stain Remover used for? Rust & Stain Remover is used to remove rust from masonry surfaces, timber discolouration and greying from dirt and general weathering. It cleans, brightens and restores wood surfaces back to the appearance of new timber. In addition, it is exceptional at removing stubborn stains such as tannin, resin, fungal and algae, green oca, oil and grease, surface greying and many other chemical stains that may destroy the natural beauty of wood. Rust and stain remover is formulated for use on uncoated weathered timber surfaces or coated timber surfaces where the coating has eroded completely away.